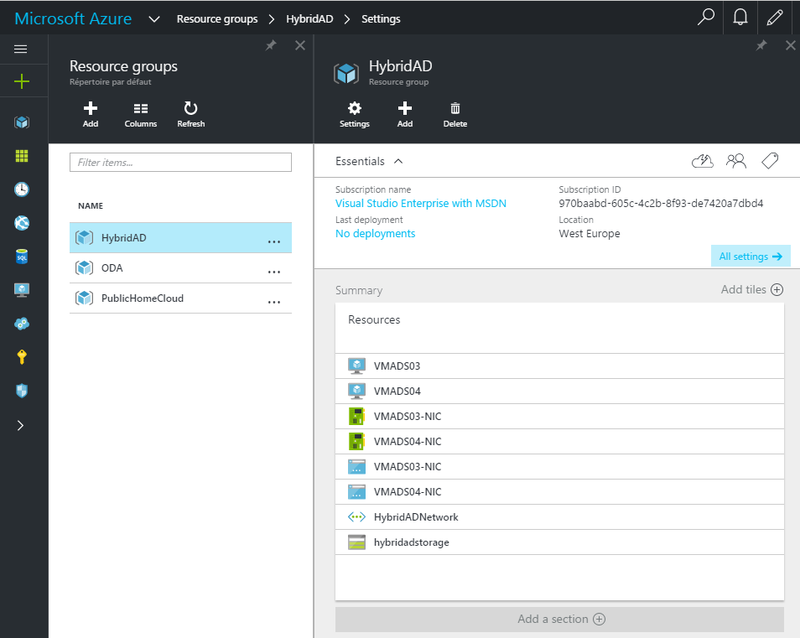 Extend Active Directory to Microsoft Azure is a common scenario when you implement hybrid cloud. 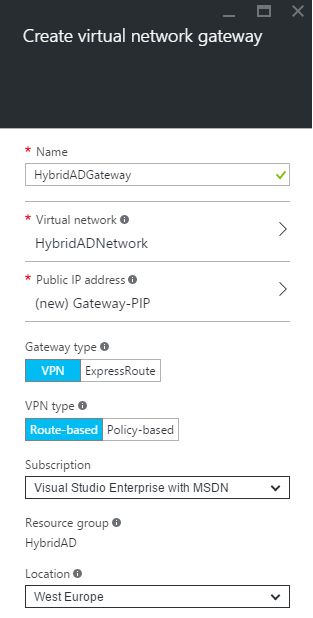 For example, protected VM with Azure Site Recovery may need access to Active Directory even if On-Premise datacenter is unreachable. 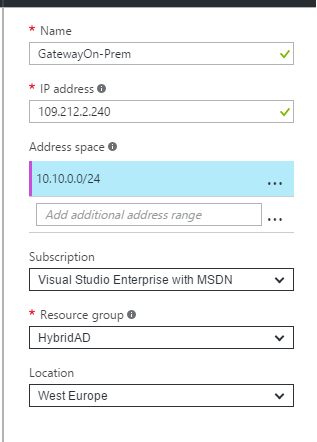  You can also extend your Active Directory to Azure when you use production workloads in Azure VMs to avoid to implement a new forest or to avoid to use the VPN connection for all Active Directory workloads. 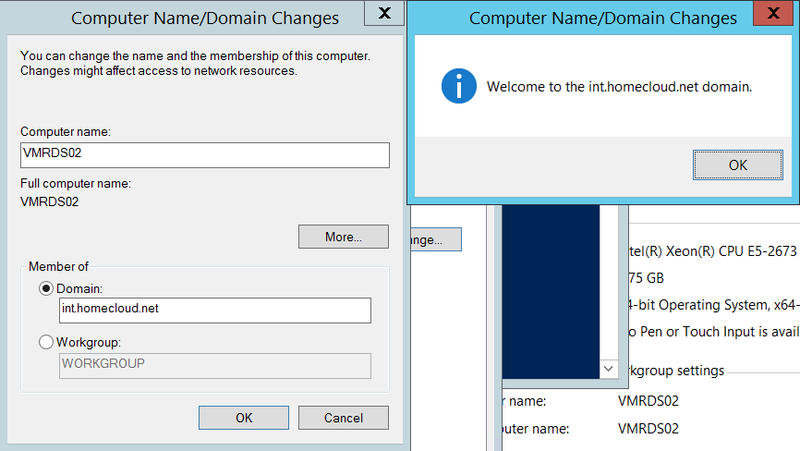 In this topic, we will see how to extend the Active Directory to Microsoft Azure. 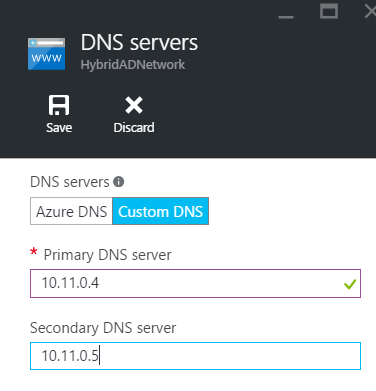 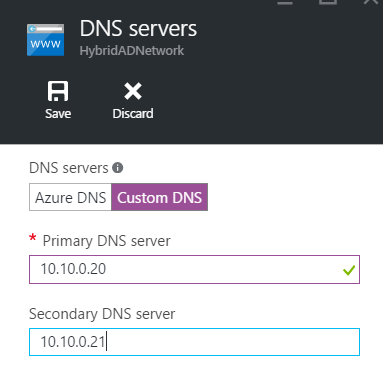 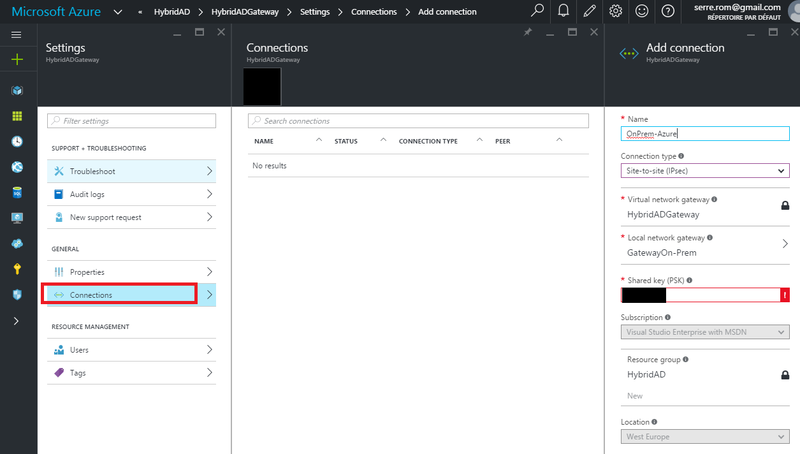 Now that the Azure domain controllers can be managed locally through the site-to-site connection, I remove the public IP. 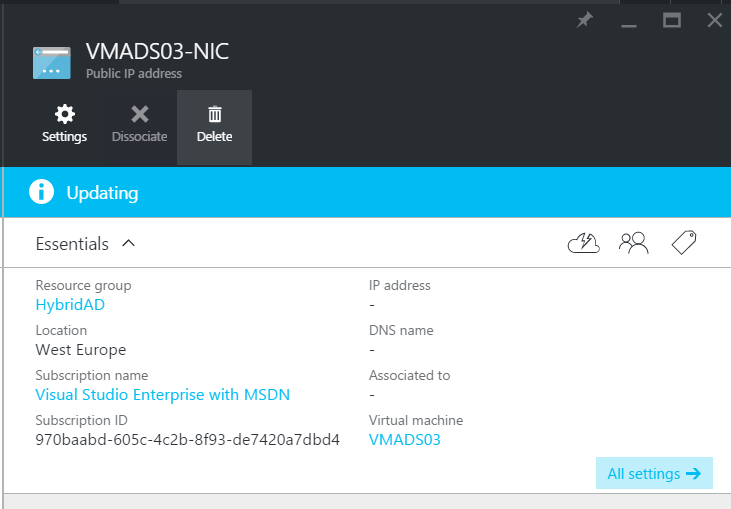 I don’t want these VMs are accessible from the Internet.